Place the cooker ,without the cover on the gas and cook for 5-10 mins till the water dries off and the gravy becomes thick and the oil starts separating from the gravy. 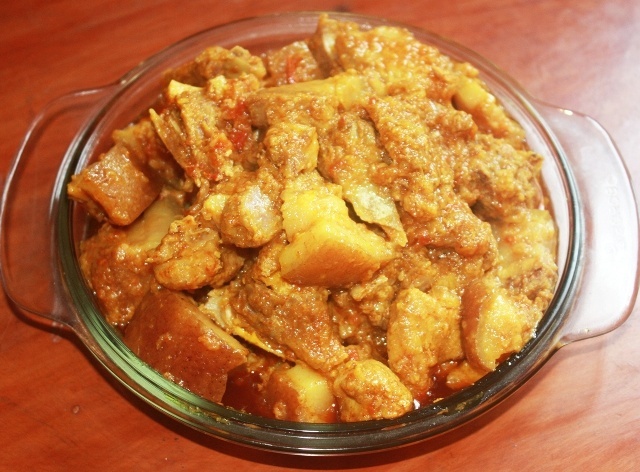 This entry was posted in All Recipes, Grand Ma's Recipes, Nepali Food Recipes, Pork and tagged Nepali Cuisine, Nepali Recipes, Nepali Style Pork Curry by Kamakshi. Bookmark the permalink.